Stress is undoubtedly one of the major causes of heart attack and other illnesses. Pressure can come from anywhere and be caused by many factors. Recent research goes on to suggest that many people are stressed at work and the percentage is increasing. The significant adverse effects on our health due to excessive stress range from mild colds and flu, to mental illness and heart disease. Due to the ever-increasing demands of work, it is almost impossible to find a totally stress-free job. Since work stress is inevitable to some extent or other, the only viable alternative is to learn how to deal with it. Here are a few ideas and tips to help you to reduce stress to a more manageable level. 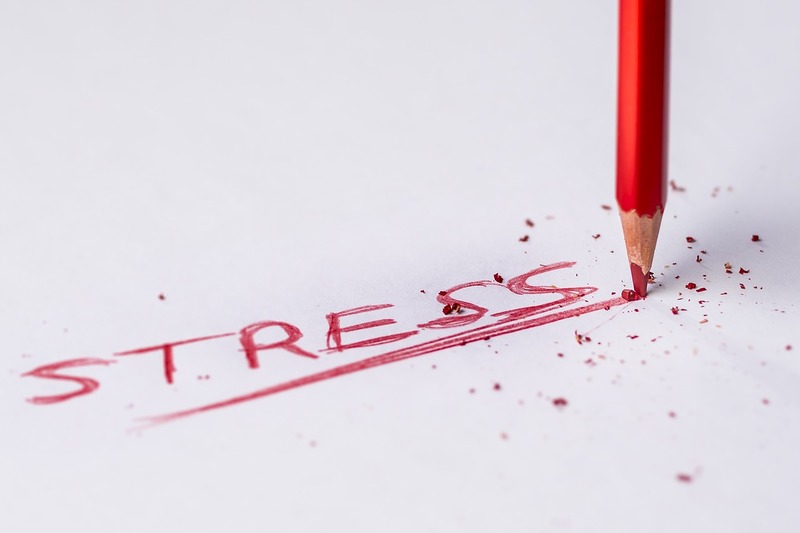 Take a look at these practical strategies to reduce stress at the workplace. Avoid early morning confusion and plan your mornings carefully. If you have kids to send off to school, home chores and traffic on the way to work, don’t take that stress with you to the office. Wake up before anyone else so you can enjoy a few quiet moments alone in the morning. That gives you the total peace of mind to think about the day ahead and deal with all the tasks you have to face. A confusing morning will merely add more stress to your busy workday. Why not start with a healthy, nutritious breakfast, proper planning, and a positive mental state of mind instead. Interpersonal conflict will finally take a toll on your physical, mental, or emotional health. Sometimes it is hard to avoid conflict with your co-workers, nevertheless, try and avoid it like the plague as it will bring you down and add to your stress. Try not to share too many personal opinions, especially about topics like politics and religion, and steer clear of dry, colourful office humour, and do not gossip! Try instead to associate with easy going and straightforward colleagues rather that problematic ones who are always negative and complain about everything. Be very clear about your requirements and if you aren’t sure about a task you are given, ask! Unclear requirements are a significant cause of stress and lead to burnout. If you aren’t crystal clear about what is expected of you, or the conditions keep changing without notice, you will find yourself more stressed than needs be. Worse still, you will keep falling into the trap of not knowing if what you are actually doing is enough. Your best weapon to combat stress is time management. Planning your day is a safeguard against unexpected occurrences, and when they do intrude, you will be able to deal with them better. Start planning your day from the moment you wake up until the second you go to bed. Time management will help you stay organised and focussed on what’s really important. Organising your personal life will help you reduce stress at work. Being more organised means less running around in the morning, fewer late appointments and less rush in the evening after work. You effectively cut out negative influences and interruptions, thereby creating a more tranquil environment for yourself. You should avoid mess, clutter and disorganisation, and that will also lead to greater efficiency at work. Physical discomfort is another stressor at work. An uncomfortable chair, substandard computer monitors which are hard on the eyes are all to be avoided as they lead to discomfort, and subsequently stress, not to mention a stretched neck and backache. On the other hand, don’t get too comfortable in that sofa or plush chair, as you will get too relaxed! Other causes for discomfort are noise at work, insistent interrupting and distractions, which all cause low-level frustration and stress. Once upon a time, Multitasking was heralded as an effective method to maximise your productivity and accomplish more during a working day. That is far from reality. People now realise it is counterproductive to have a phone in your ear and perform calculations simultaneously. Speed and accuracy suffer, not to mention your sanity. Splitting your focus doesn’t necessarily work well for everyone, and the end result may be two substandard tasks. It might be better to try chunking, a more effective strategy that you can plan and deal with more comfortably. Sitting down all day around the office can lead to apathy. Get out of the office as much as you can to take a few minutes break now and then. Better still, go for a walk at lunchtime and stretch your legs and flex your mussels. Too many people are feeling the adverse effects of leading a sedentary lifestyle and lack of exercise. It is a good idea to head off to the gym in the morning, if you can afford an hour before work. It will help relax you later and keep your stress levels in check. Blowing off steam will uplift your mood, besides helping you get in shape. Getting the job done has to be weighed up with how long it will take you to complete. Being too fussy can be counterproductive and hinder your ultimate objective. Of course, you have to do the job to the best of your abilities, but being a perfectionist is not always necessary. Instead, strive to become a high achiever and excel at your job. It can also drive other people and yourself nuts! In a busy, fast-paced work environment, it is not always possible to do everything perfectly. The healing powers of music are underestimated and can be beneficial and relaxing. It is an effective way to reduce stress and calm your mind, especially after a long day at work. You can fight negative thoughts that create stress by listening to music you like on your journey home, so you will face your family in a positive frame of mind rather than bringing your stress home, and you can interact better with the people in your life.